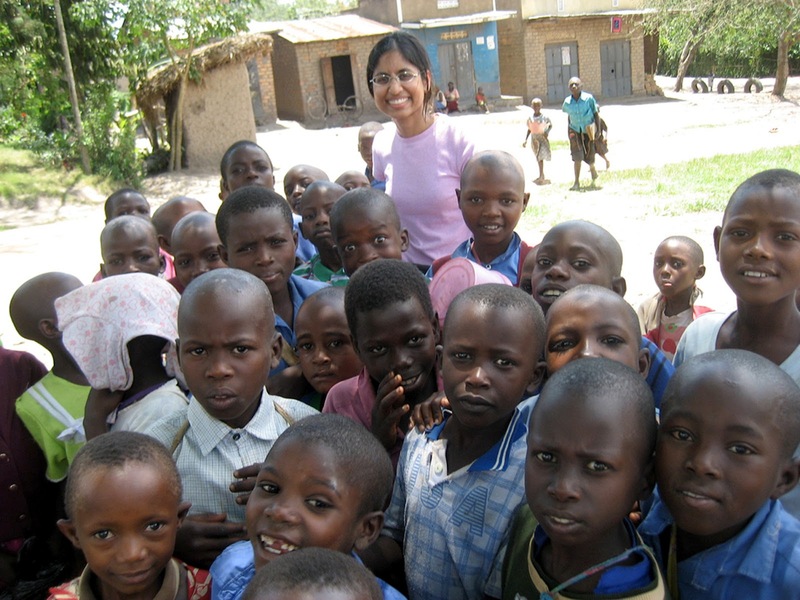 As I stepped off the plane and onto the tarmac in Entebbe, a short distance from Kampala, I quickly realized I was no longer in my familiar world. The air was hot and dry, and though it was the middle of the night, I could see a think dust lingering in the air. I was greeted in the airport by Joseph Musaba, a very bright-eyed and energetic Ugandan in the final year of his fellowship training at Mulago Hospital. Right from the very start, he was so kind and gracious that I felt right at home, even in such an unfamiliar place. 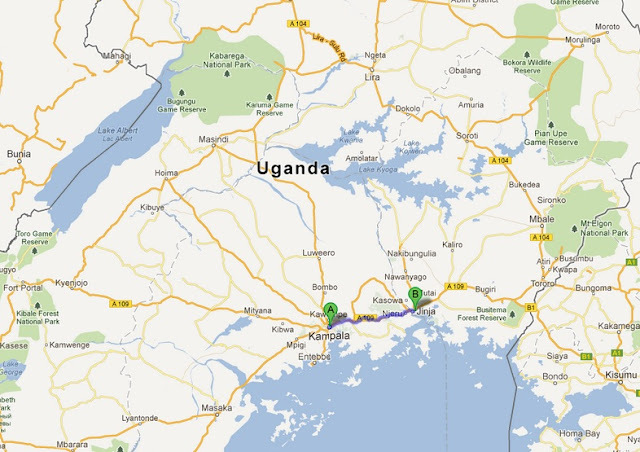 The trip from E ntebbe to the apartment in Kampala took about one hour. Kampala was busy, bustling with traffic, motorbikes which outnumbers cars three to one, and many people walking along the side of the road, despite it being after midnight. I was immediately struck by the notion that this place is full of life! outside the apartment, and together we entered the building. The power in our section of the city had been out for several hours. I would later come to realize that power outages were very common and unpredictable. Dr. Watya had brought a portable florescent light, which ran out of juice after thirty seconds. We toured the apartment by the light of our cell phones. I was very pleased with the apartment as it had most modern amenities and, by the dim of my cell phone, appeared to be nicely decorated. My first full day in Kampala consisted of recovering from jetlag and making a trip to the local shopping center with another urology fellow, Dan. In the daylight, Kampala was certainly a very interesting place – a mix of tall modern glass buildings and slums, where people lived in little more than cardboard boxes. The roads turned from pavement to dirt without any notice, and large potholes were more common than smooth pavement. The sidewalks were mostly dirt, and a thick haze of dust covered the entire city. The traffic was intense, where motocycles (called boda-bodas) darted in and out from between cars and trucks, not seeming to pay much attention to traffic laws, other vehicles or pedestrians. Despite the chaos, I was impressed with Dan’s cheeriness. He alaways had a smile on his face, and when he got cut-off by a boda-boda, he just laughed. I found this to be a common theme among Ugandans; they were able to find joy outside of less-than-ideal circumstances. medical care of the patients. They provided food and helped keep the patients comfortable, doing a lot of what is done by nurses in the United States. During rounds, I was struck by how thankful and appreciative everyone was for the care they were receiving. Some patients had been on the ward for weeks, waiting to get their change to go the operating room. 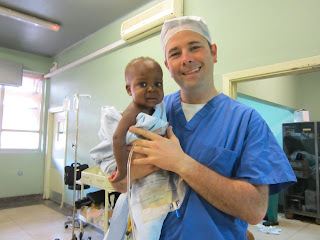 The operating room time was precious, only having two dedicated days per week. Surgeries for many patients with non-acute issues were delayed week after week as more urgent cases needed to be done. Then, after the weeks of waiting, when the patient was finally able to undergo surgery, there was much gratitude and appreciation, without plaint of their delay. instruments and scarce disposables, that would have made frantic most any attending from home, were well-tolerated and accepted by the Ugandan surgeons. By Necessity, they have had to become very creative in the operating room to accomplish the surgeries that vitally need to be performed. unsuccessful. If we would have only had a laser or even a handheld penumatic device like the Stonebreaker, we could have easily treated the stone. 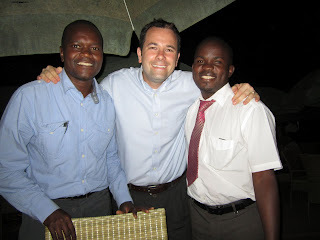 As I reflect on my trip, what I a most impressed with is how Ugandan urologists do so much with so little. They treat a very wide range of diseases, similar to what urologists treat in the US, but with fewer tools at their disposal. I take for granted training at a large hospital where we have essentially everything at our fingertips. 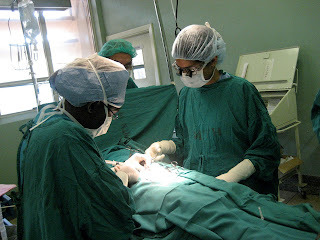 Ugandan surgeons use creativity and excellent open surgical skill to bridge the gap. They are truly remarkable surgeons and people, and I have been blessed to learn from their skill, creativity, positive attitude and friendship. 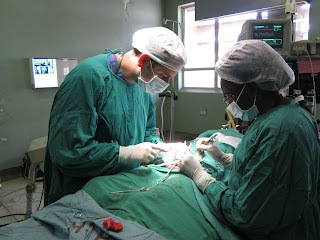 I found my time at Mulago to be beneficial to the urology fellows, in that I was able to share my experiences, provide needed equipment and supplies through generous donations from both IVUmed and Duke University, and teach several endoscopic procedures they rarely perform. 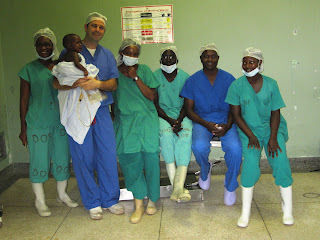 I highly recommend IVUmed continuing to assist the Ugandan people by sending more resident and attending urologists, as fellows would be able to travel to the United States. I would be willing to assist in having Duke University be a potential place where international students could come and learn. Thank you very much for this incredible experience.